The pink shake-y shake reminds me of a strawberry malted. It is a favorite afternoon pick-me-up in our house! Pour milk into blender. 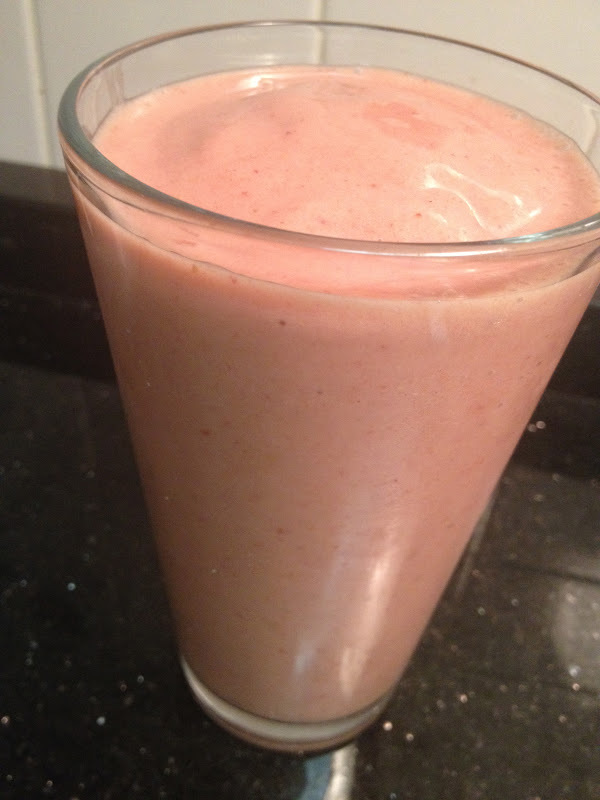 Add frozen bananas, strawberries, goji berry powder and maca powder. Blend and enjoy!